This year, with April Fools' Day just one Day away, big companies have laid down their prank strategies. Starting with Kingfisher beer's instant beer powder that claims that you may be able to make beer out of instant beer powder sachets and pouches. Kingfisher beers explain on their YouTube channel: "As the leading Beer brand of the country, Kingfisher feels that it is our responsibility to ensure that your beer drinking experience is hassle-free. Presenting the all-new Kingfisher Instant Beer. Just add to chilled water, stir and enjoy the good times anytime, anywhere." 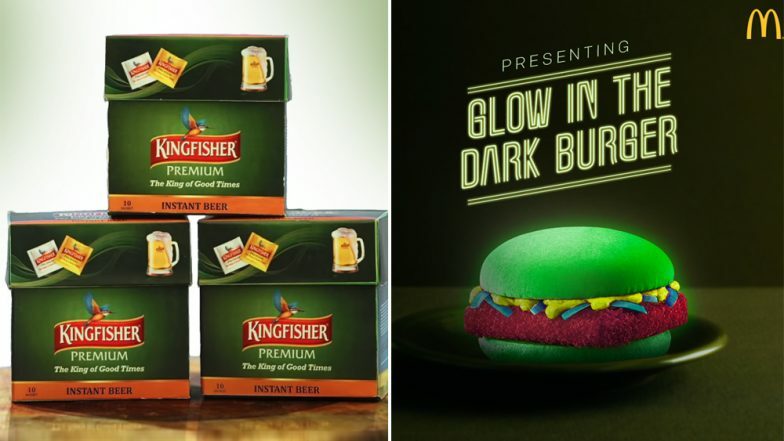 On the other hand, Mc Donald's India's April Fools' Day pranks claim to provide you with new glow-in-the-dark burgers. They wrote on their Facebook page describing the new burger: "Hey night owls, eating in the dark won't be a problem anymore! #ComingSoon #Maybe." In both the posts by the companies, commenters were too soon to realise that it is an April Fools' Day prank. Not like we are spoiling the pranks for the two companies, but for some reason, they seem too obvious, what say?